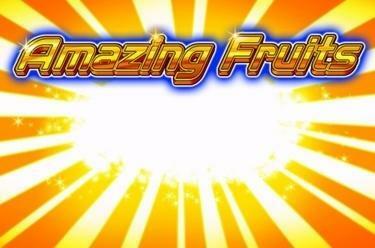 Play Amazing Fruits online for free now! In Amazing Fruits you play on up to 40 win lines that extend across 5 reels. You can rake in juicy winnings with sparkling fruits and their companions as well as earn profitable free spins. And with a little luck you hit the progressive jackpot. The best paying symbol in this game is the 7. 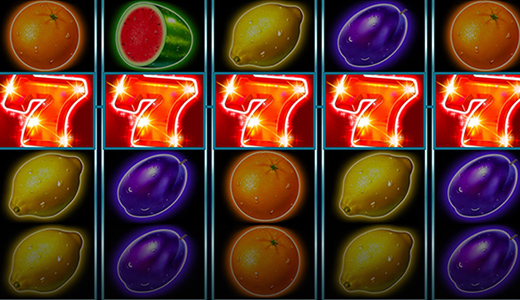 The aim with Amazing Fruits is to line up 5 identical symbols on as many win lines as possible. The win lines all run from left to right. The Star acts as Scatter symbol in Amazing Fruits and can land in any position on the playing field. The order doesn't matter. The free games start with 3, 4 or 5 Stars. But the Stars can do so much more, for example trigger the progressive jackpot: When 20 light up on your screen you are a true winner! 3, 4 or 5 Stars trigger 10 free games the aim of which is to collect as many Stars as possible. If you land one or several Stars during a spin they are held in their positions until the end of the free games. Even the Stars triggering the free spins are fixed in their positions until the end of the free games. Finally, all the Stars are added up and the winnings credited to your player account. With a little luck 20 Stars appear on the reels and you hit the progressive jackpot! If you have played with maximum stakes you collect the entire jackpot amount. Lower stakes earn you a relevant share of the jackpot. If you want more than glistening and glorious fruits Amazing Fruits is just the ticket for you because this slot comes with a special feature: a juicy progressive jackpot! Are you a daredevil? Then reach for the Stars and collect as many of them on the reels as you can because in so doing plenty of Twists will come your way!